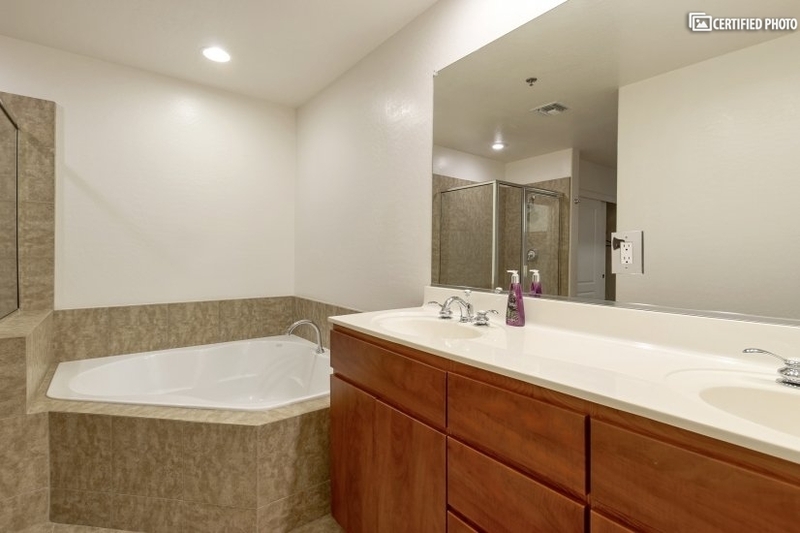 Welcome to luxury living in the Silicon Desert. 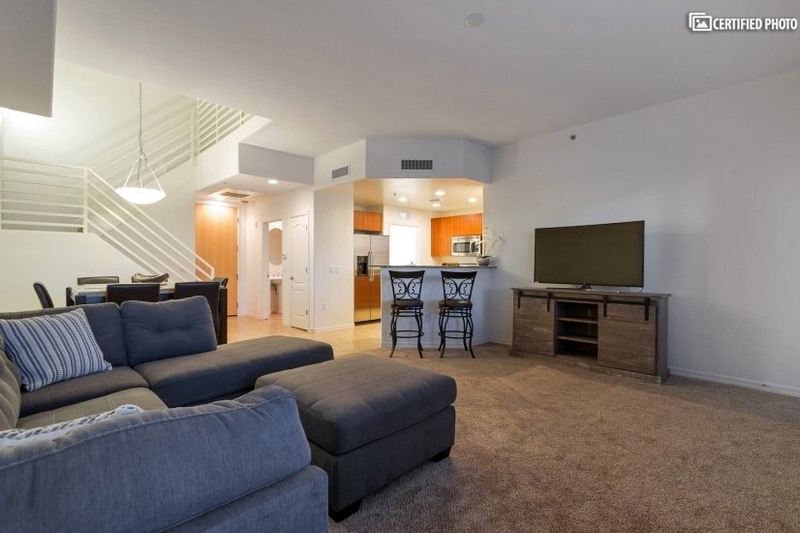 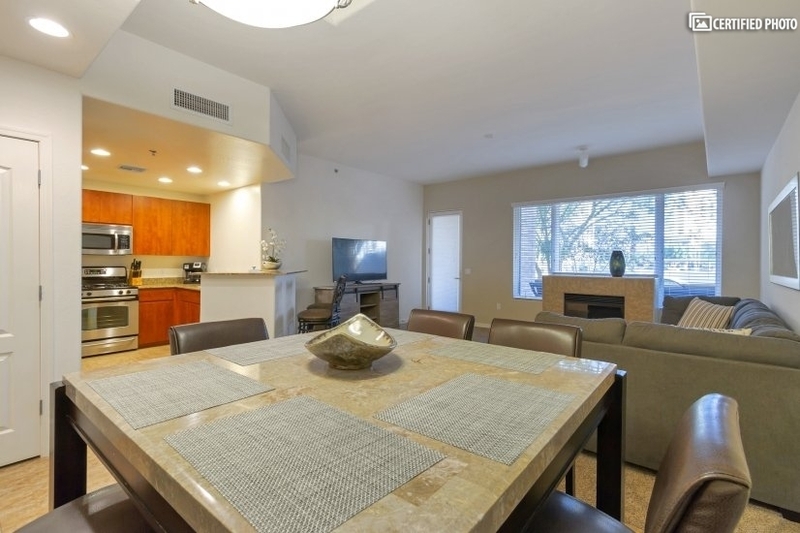 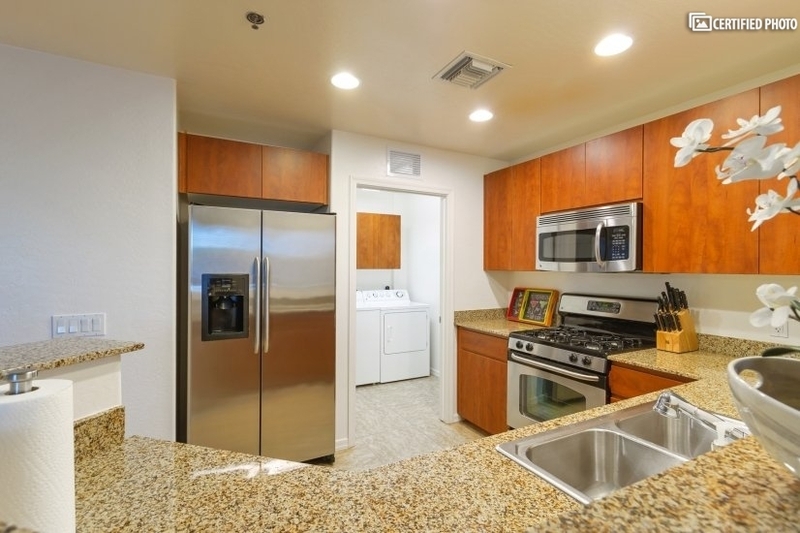 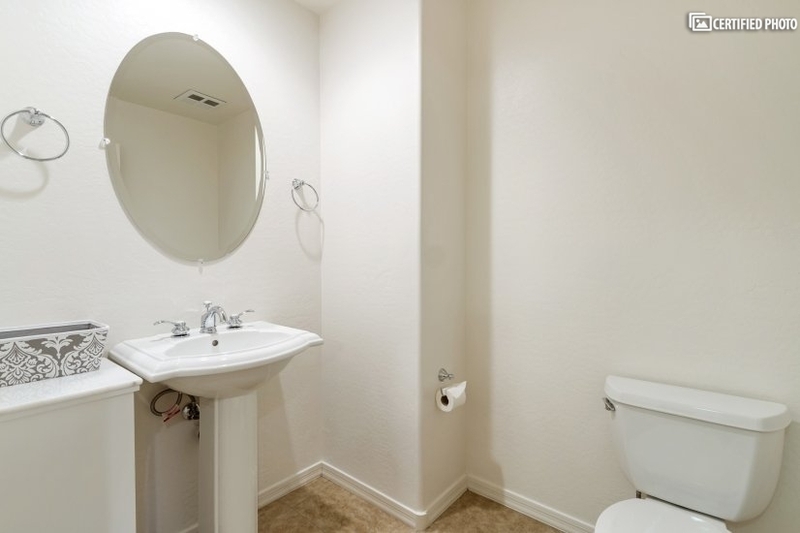 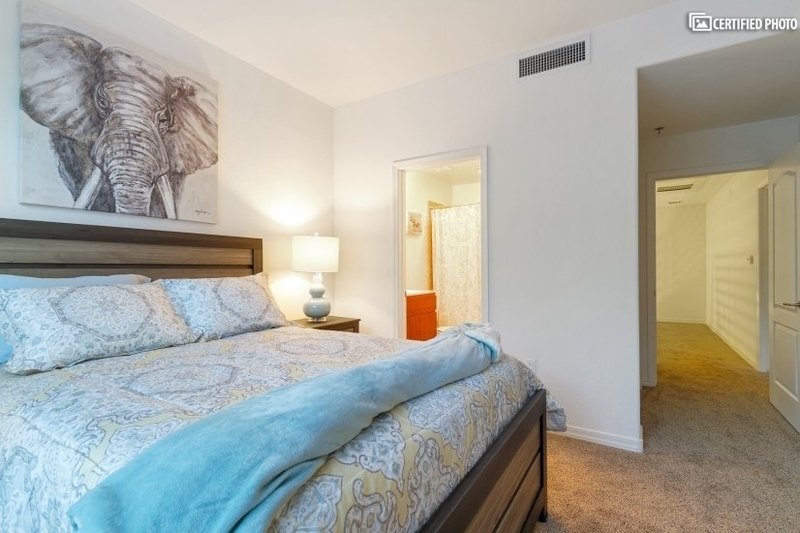 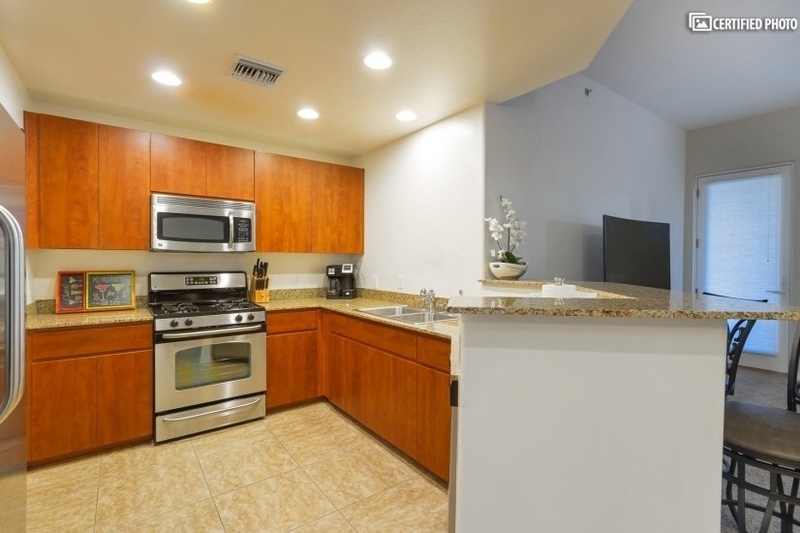 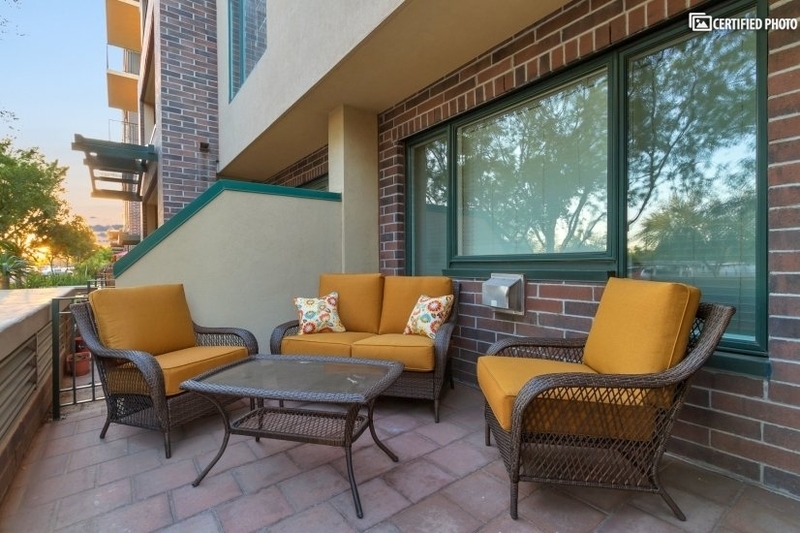 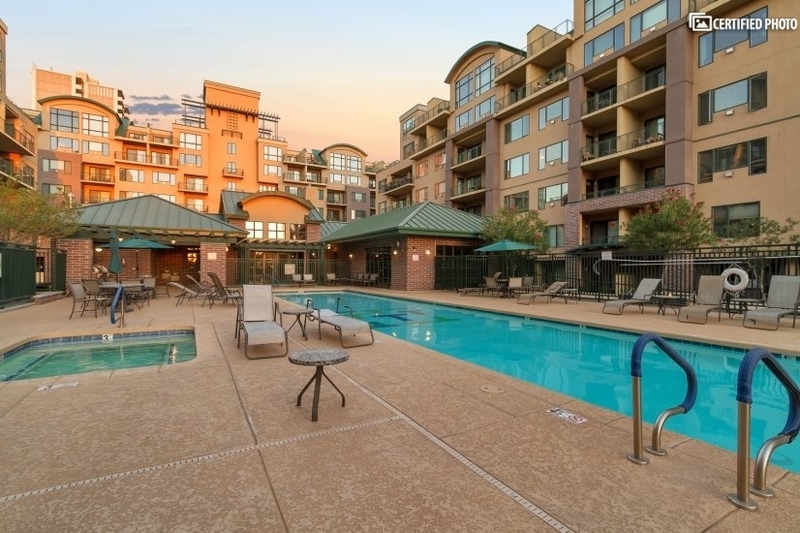 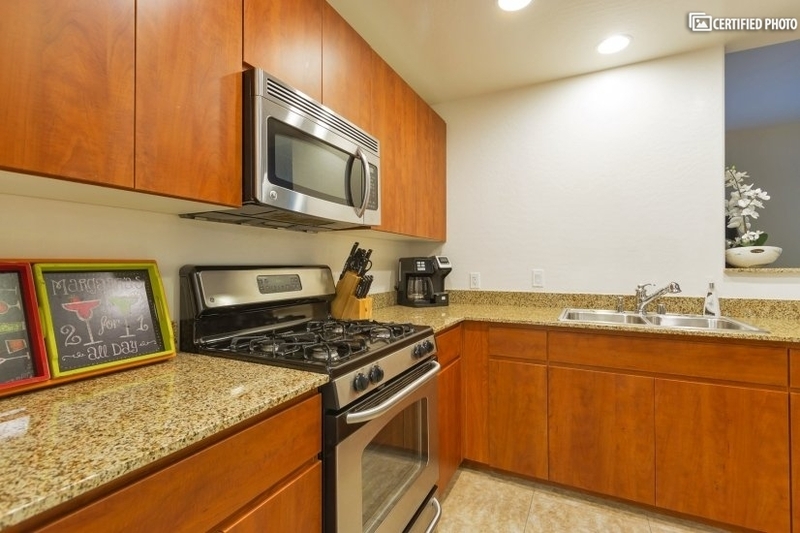 This two bedroom, two and a half bath high-rise condominium in the heart of Phoenix is a perfect spot for a corporate rental in this dynamic city. 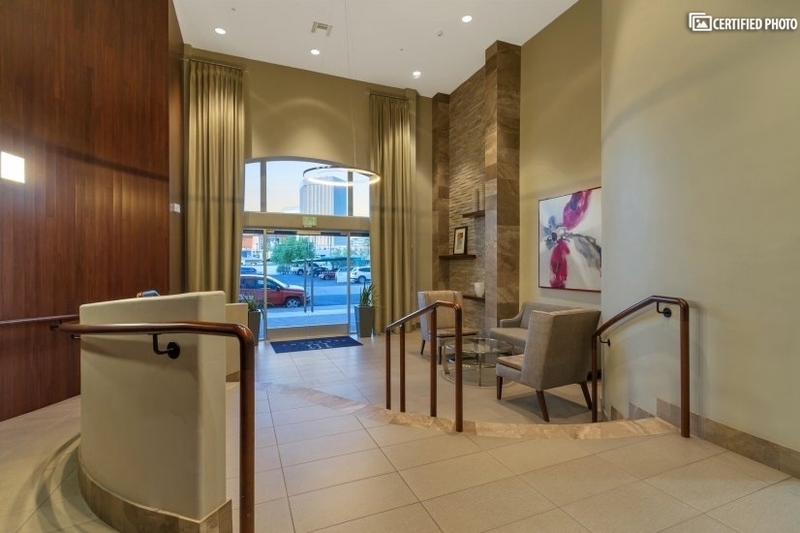 You’ll love this luxuriously appointed, CHBO Complete two-story condo, with two gated, assigned underground parking spaces and elevator access. 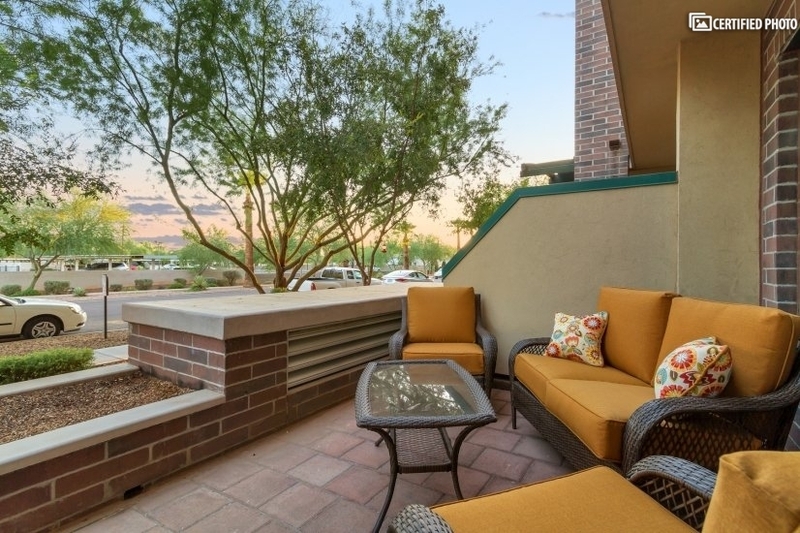 Tapestry on Central is a friendly community of residents who live here in a quiet HOA with 24-hour security. 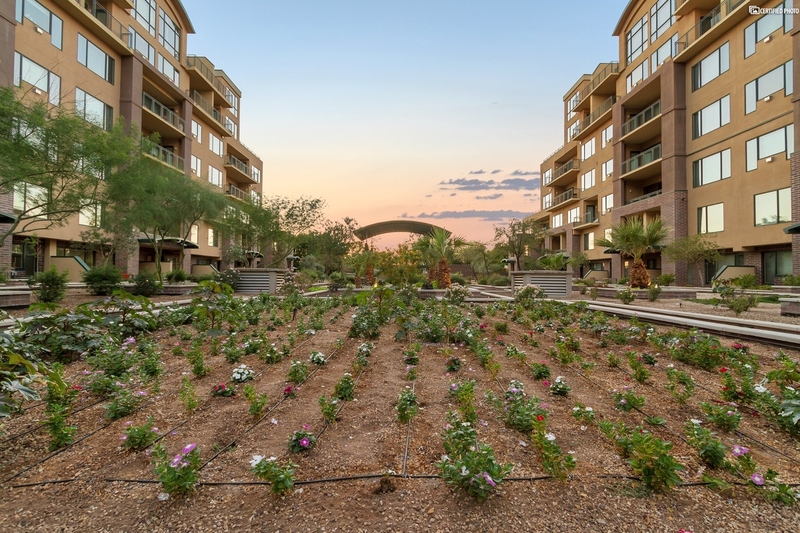 Residents enjoy the beautifully landscaped interior courtyard, fitness center, sauna, lap pool and spa. 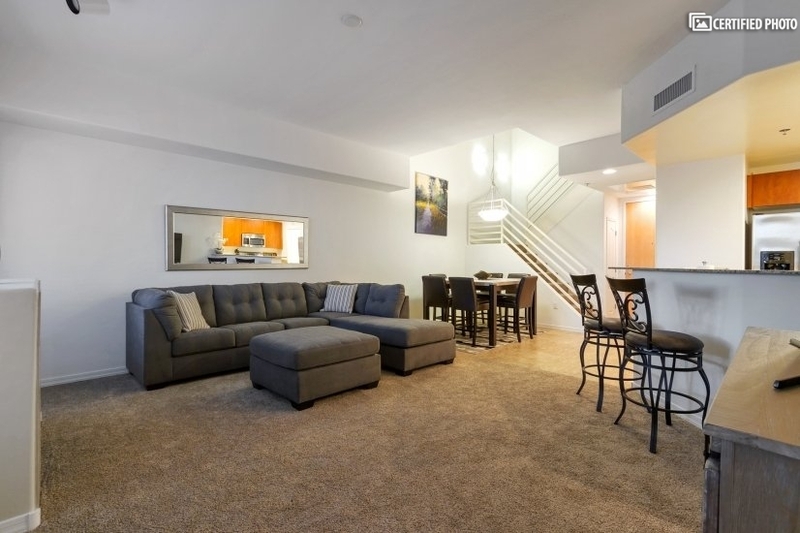 There’s a cinema room and clubhouse too, available with a deposit. 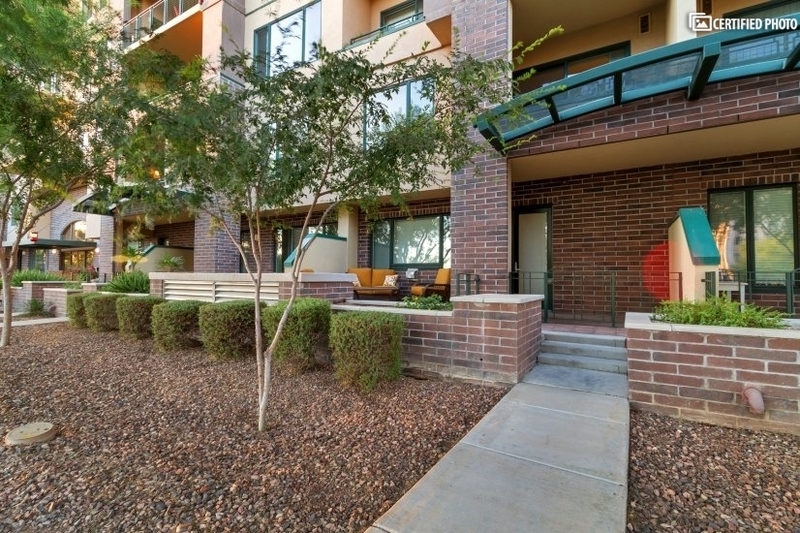 The condo is all new; carpet, tile, furniture, linens, the works. 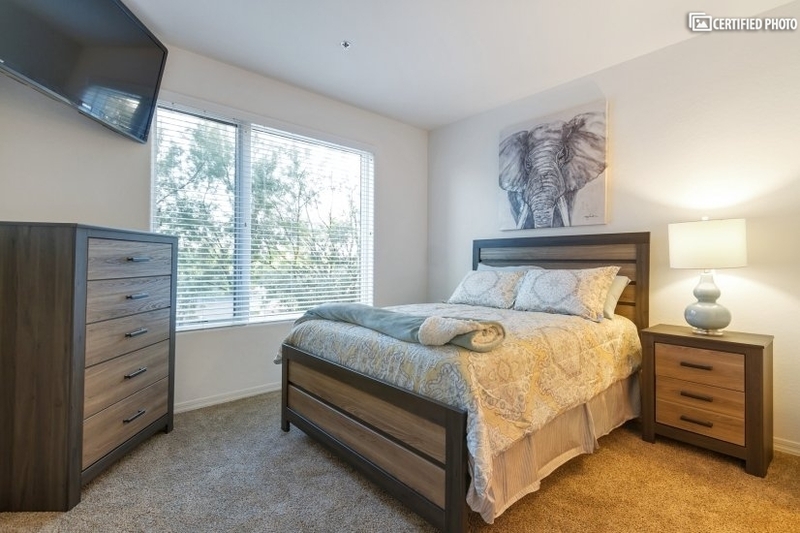 The living room, dining room, and kitchen combine in an expansive main living space with a full upgraded sleeper bed in the sectional couch in the living room A separate AC cools this level, and a second AC system the upper level. 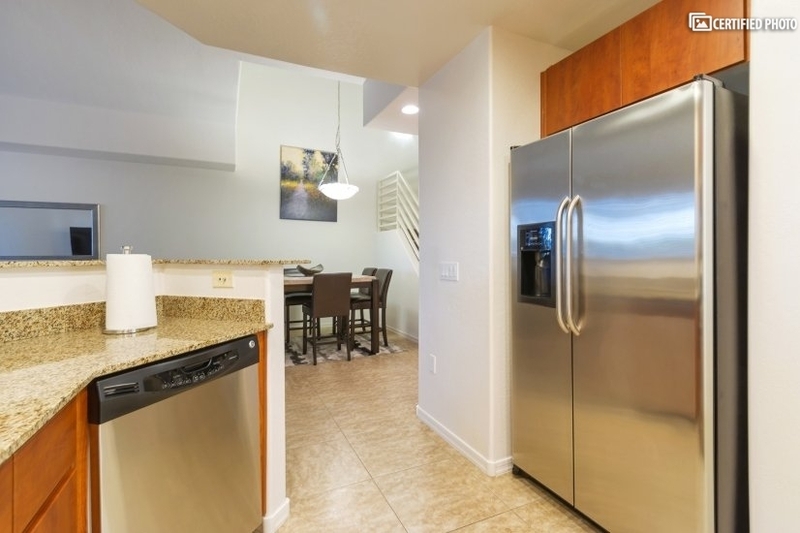 A tall pub style table and six leather seats comprise the dining room, and the kitchen of granite counters, stainless steel appliances, and all the fixtures you need for gourmet cooking. 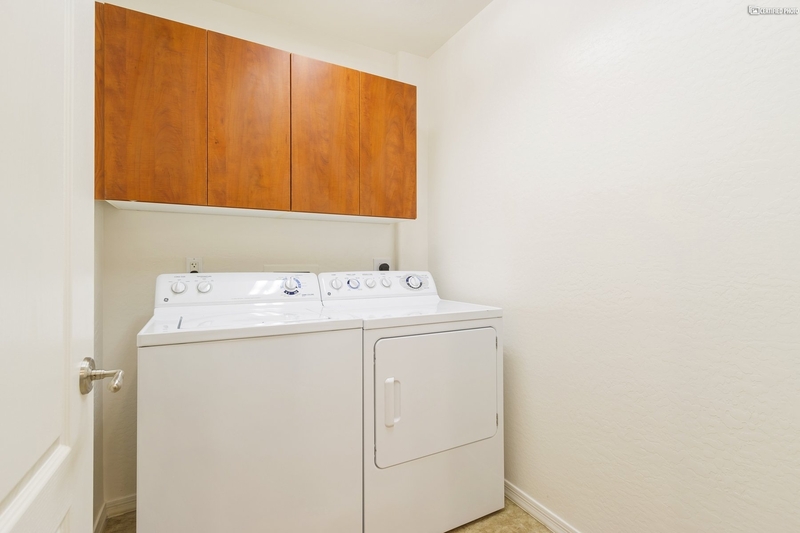 Behind the kitchen, there’s a dedicated laundry room with full washer and dryer. 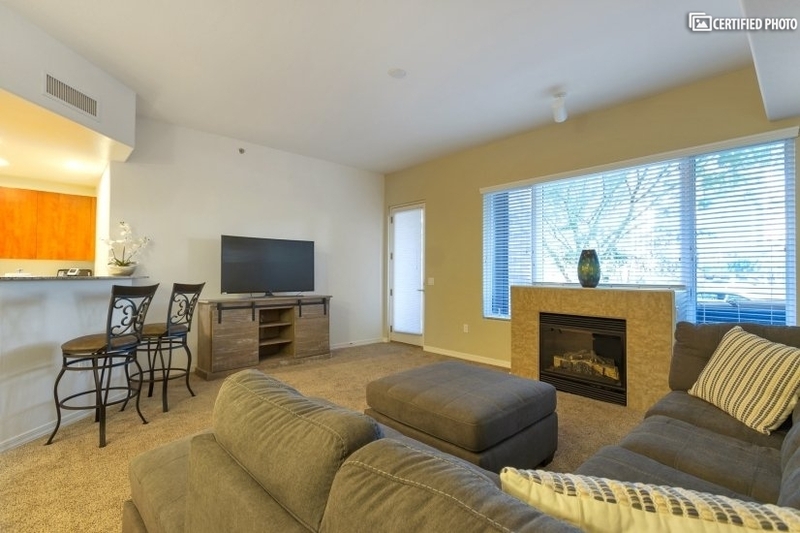 A bar counter pass over has two additional seats for dining, and leads to a living room equipped with comfy sectional sleeper sofa facing an LCD TV with Cox DVR cable, high speed Wi-Fi and a gas fireplace. 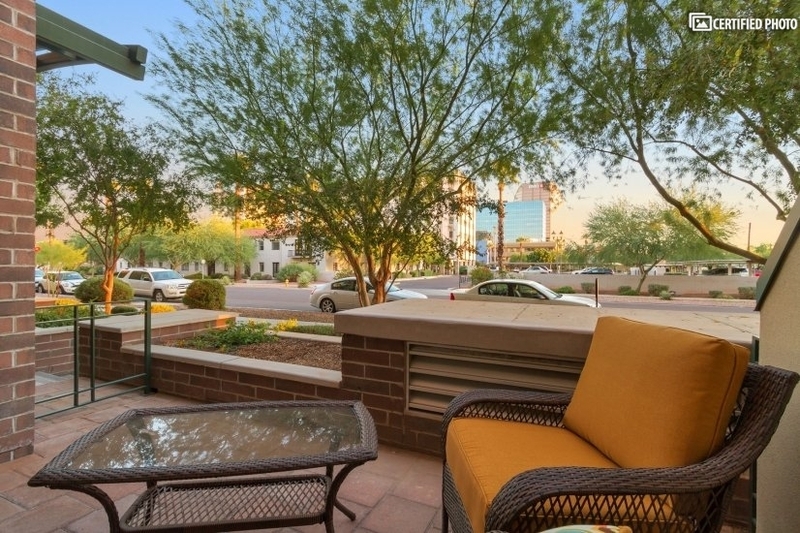 Plus, there’s a ground floor patio with seating so you can enjoy city views of this beautiful area. 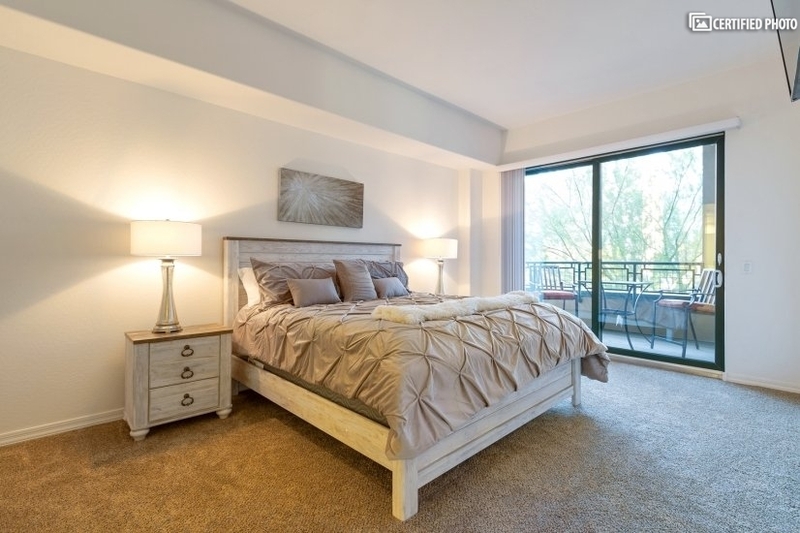 Upstairs, choose from the two master suites. 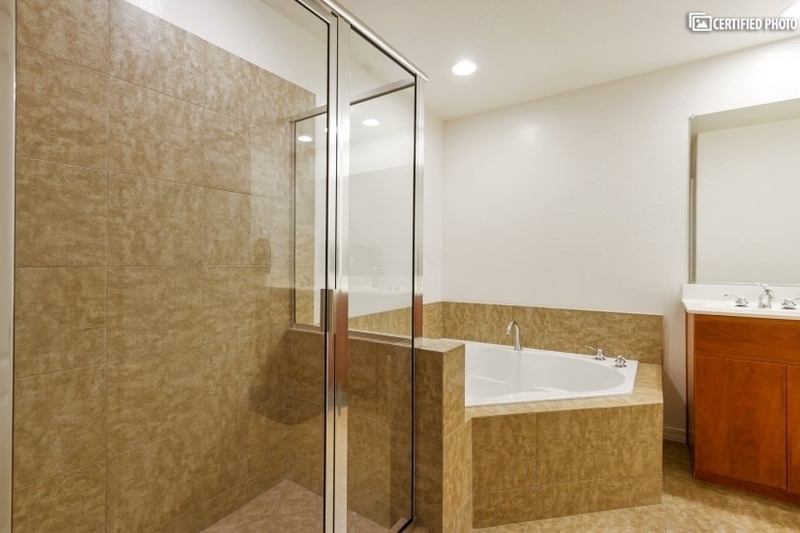 The grand master features an en-suite bath of huge walk-in shower, garden tub, double sinks, and separate toilet. 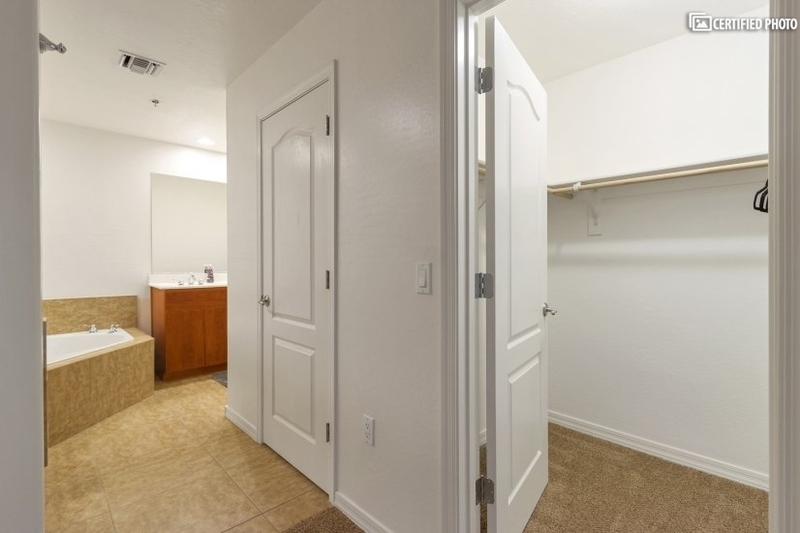 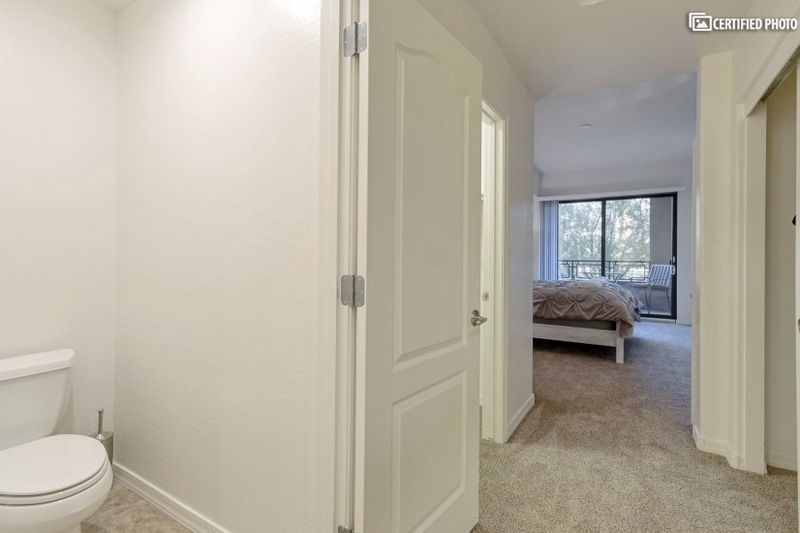 A walk-in closet and dresser provide lots of storage, and a wall mounted 55-inch LCD TV is ready for your viewing pleasure. 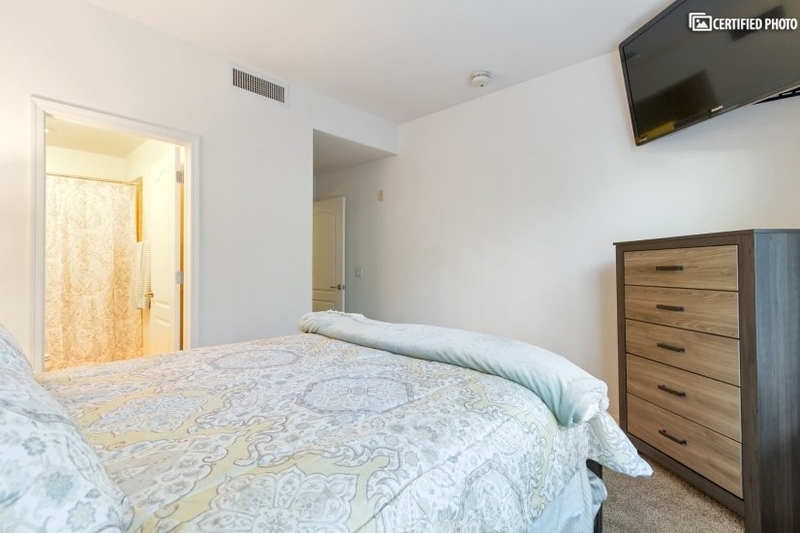 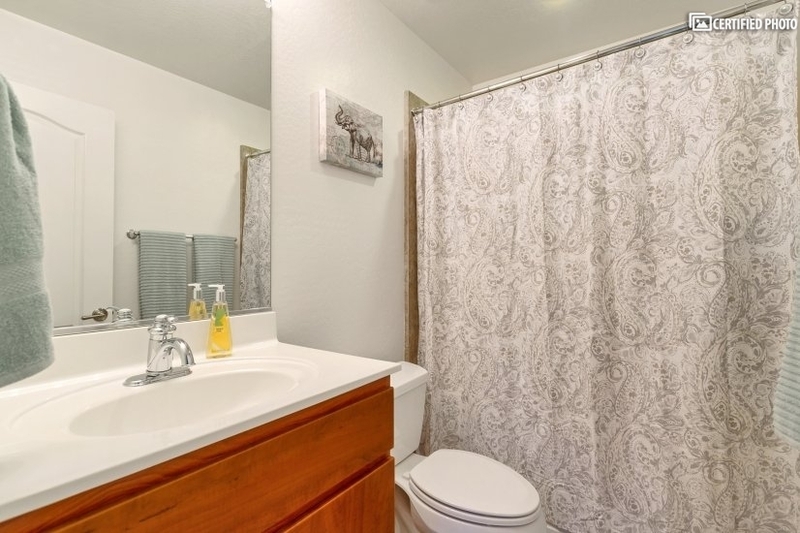 The second master bedroom has a full bath en-suite as well and another 55” TV. 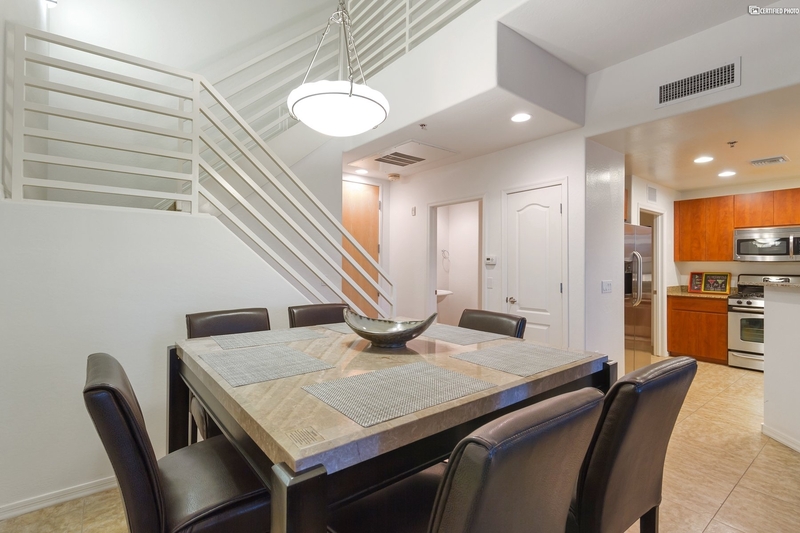 This executive condo is so beautifully furnished you’ll have a tough time choosing between a pampered day staying in and exploring the fun and excitement all around Mid Town.